What can you expect in a mattress for under $2,000? There are plenty of mattresses priced in this range. How do you know which, if any, are good solid values? 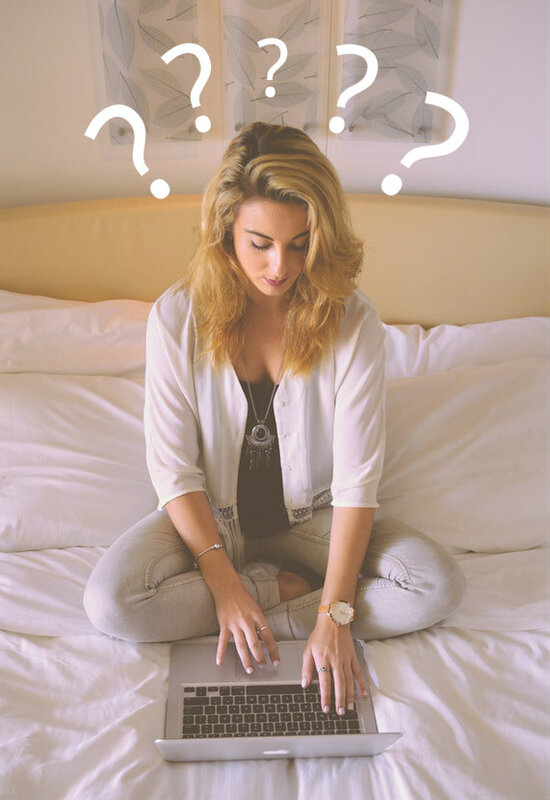 It's important first to consider what types of mattresses are available and which one is best for you. 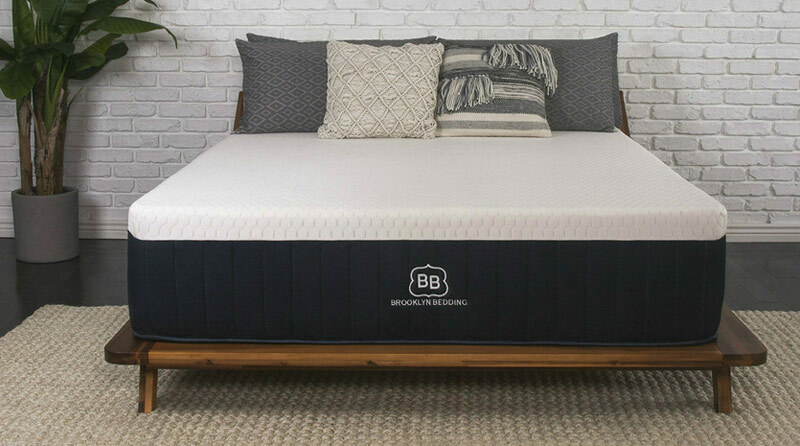 If you're looking for a 100% Certified Organic mattress, You need to take a closer look at this new rising company. The Happsy Mattress is Certified top to bottom to meet Global Organic standards of safety and quality. Organic Certifications: Some companies toss around the term "Eco friendly" to imply there products are all natural. But, if you are looking for a verifiable, fully organic mattress, Happsy is for you! 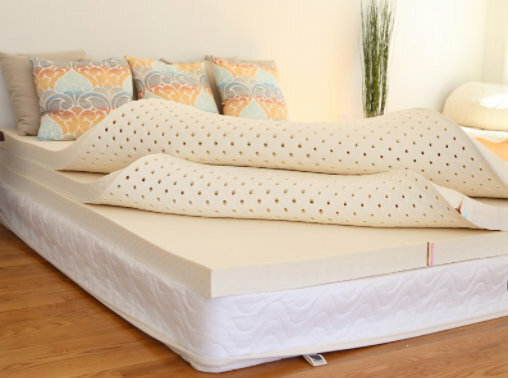 Construction: Happsy mattress uses Individually Pocketed Coils topped with 2" of GOLS Certified Organic Latex. The cover is made from GOTS Certified Organic Cotton. GOT Certified Organic Wool batting regulates heat and acts as a natural fire barrier. No chemical fire retardants are used. Comfort Options: Choose from standard Medium Firm or add a 2" Organic Latex topper to transform your mattress into a Pillow-top. Price: $1,199 for standard Queen or $1,598 with additional 2" Organic topper. You will not find a better priced Certified Organic Mattress on the market! Delivery: Free in the continental U.S. and setup is simple and fast. Warranty: Happsy warranties against defects in materials or flaws in manufacturing for 10 years. In either instance, Happsy will either repair or replace your defective mattress at the company's discretion. Comfort Guarantee: Try the mattress out for 120 days. If you decide Happsy is not for you, they will be happy to coordinate a return. It's a risk- free, no strings attached policy. Brooklyn Bedding's, Brooklyn Aurora brings quality and luxury features normally associated with high priced retail offerings. TitanFlex high density hyper elastic foam is combined with a quality coils system to create comfort and support that is truly outstanding. Construction: TitanFlex hyper-elastic foam, offers cool, responsive pressure relief. Combined with TitanFlex hyper-elastic foam, offers cool, responsive comfort. Combined with up to 1,283 8" Quantum Coils, the Aurora offers great support, support and value. Comfort Options: Because one comfort option is not right for all, the Brooklyn Aurora is available in Firm, Medium and Soft. Price: $1,699 $1399 for standard Queen. The Aurora is a true luxury mattress that sells for almost half the price of comparable retail beds. Delivery: Shipping is free in the continental U.S. This mattress is a bit heavier than most bed in the box offerings. You'll need a second set of hands to safely move it. Once at it's desired location, set up is fast and simple. Warranty: 10 year full warranty. Brooklyn Bedding will repair or replace a defective mattress at their discretion during warranty period. Comfort Guarantee: Brooklyn Bedding offers a full 120 day Comfort Guarantee. If you do not love your mattress, return it free of charge for full refund. You wont find white glove home delivery mentioned at Spindle Mattress. But, you will receive a high quality bed at a great price that's backed with exceptional service. If you are willing to do some light assembly, you can save big on this all Natural Dunlop Latex mattress. Construction: Three 3” layers of Oeko-Tex 100, Class 1 Certified Continuous Pour Natural Latex provide awesome support and pressure relief. Natural Wool batting is obtained from sheep raised according to Pacific Northwest Eco-Wool standards. Organic cotton used in the mattress cover is grown without pesticides, pigments or bleach. Comfort Options: Arrange individual Latex layers to create 5 different firmness levels. Choose from Extra Firm - Extra Soft. Price: $1,349 for a standard Queen. This price is ridiculously low when compared to comparable retail mattresses. Delivery: Shipping is free in the continental U.S. Your mattress layers will arrive in separate boxes and some light assembly is required. Warranty: 10 Year Full Warranty. Spindle will replace any defective layer deemed to have a sag exceeding 3/4″. This replacement will take place at no additional cost to the consumer. Comfort Guarantee: 365 Day Comfort Adjustment. During this period, an additional 3” layer of latex is provided for a low price of $200. The density of the foam sent will be determined by whether the mattress is too firm or too soft. Loom & Leaf mattress by Saatva is composed of premium grade "plant based" Memory Foam and high density base foams. Construction rivals much pricier Tempur-pedic models. However, Loom & Leaf comes with a longer warranty and better sleep trial guarantee. Construction: 5 lb. density premium Plant Based Memory Foam offers great support and conformity. This foam is also more environmentally friendly than traditional memory foam. Breathable support foam is also plant based, it provides great air flow and additional cooling. The cover is made from Organic Cotton with natural thistle flame providing a non toxic flame retardant. Comfort Options: Choose from Firm or Relaxed Firm comfort options. Relaxed Firm is the companies flagship mattress and accommodates the widest range of comfort preferences. Price: $1,099 for standard Queen. Delivery: "White Glove" in home delivery and set up is free! The only other companies we have reviewed that provide this service charge a fee. 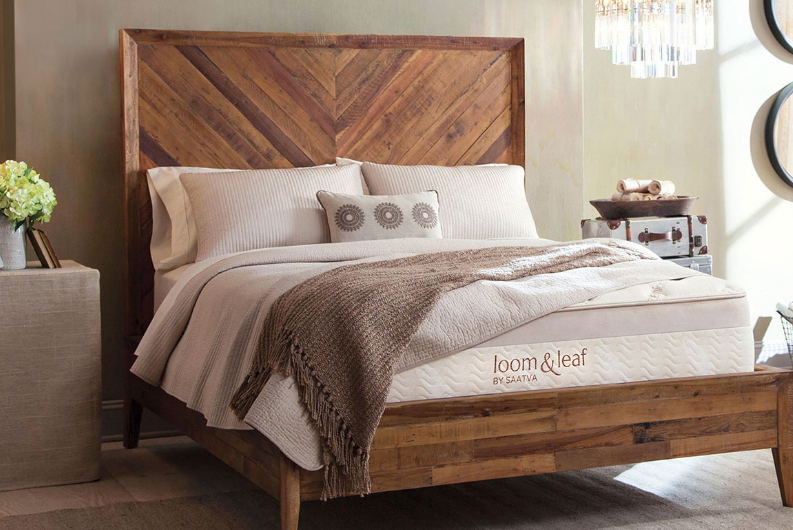 Loom & Leaf mattresses are made to order and typically ship in 9 - 18 days. Warranty: 15 Year Non-Prorated. During the first 2 years, Saatva will replace your defective Loom & Leaf mattress at no cost. Years 3 - 15, Saatva will repair and recover your original mattress. A $99 fee will be applied for shipping with no other charges due. Comfort Guaranty: 100 Night Sleep trial - If not fully satisfied, the entire cost of your mattress less a $99 handling fee will be refunded. 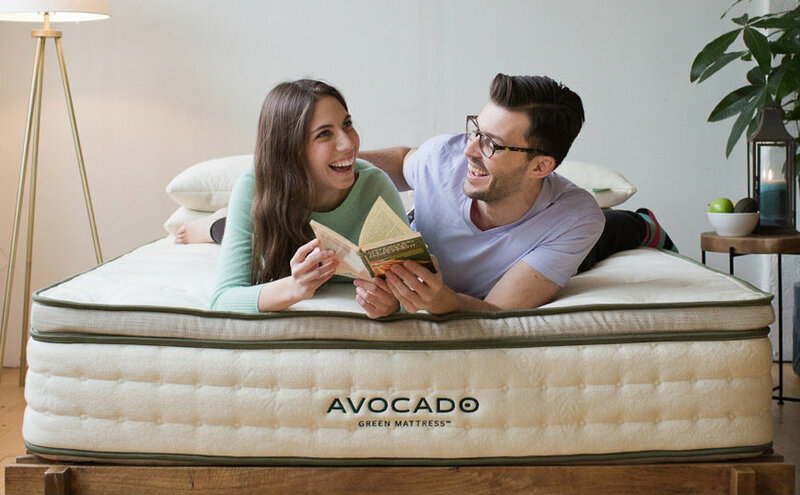 Avocado Mattress manufactures a quality Natural Dunlop Latex / Coil hybrid that is priced well and environmentally friendly. This mattress is supportive while sleeping cool and comfortable. Construction: Ergonomic Support - 8” Individually Pocketed Leggett & Platt coil unit offers support and limits motion transfer. There are 1,068 total coils in a standard queen. Natural Dunlop latex is used to create pressure relief. Natural latex sleeps cooler than synthetic foams and and has no off gassing issues. Avocado's Button-Tufted cover meets GOTS standards and uses no glues or adhesives. 100% Natural Hydrated Silica is used to create a natural fire barrier. no chemical fire retardants are used. The Standard 11" Gentle Firm is ideal for back and stomach sleepers. Great support with just enough softness for body contouring. The Pillow top adds an additional 2" of Natural Latex (5" total) to the surface of the bed. This creates a Luxury Plush feel that offers more hug and softness. It's ideal for side sleepers looking for a more forgiving feel for shoulders and hips. Price: $1,399 for standard Queen, add $400 for Pillowtop. Delivery: Free in the continental U.S. In home White Glove delivery is offered for $99. Warranty: 25 Year limited warranty. 10 year full non-prorated warranty, Remaining 15 years limited prorated warranty. Comfort Guaranty: 100 Night Comfort Trial - If for whatever reason you decide Avocado Green Mattress does not meet your expectations, send it back for full credit. The Chorus by Naturepedic is a 100% Certified Organic Luxury mattress. Only the finest all natural material are used to create this exceptional mattress. All Naturepedic mattresses, including the Chorus, meet strict international organic standards. Natural Cottons and Wools are Certified to meet Global Organic Textile Standard. This Mattress is also GREENGUARD certified to not emit any dangerous toxins. 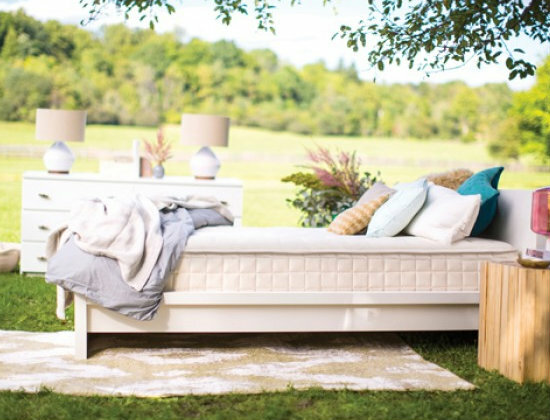 All Naturepedic mattresses are produced without pesticides or chemical fire retardants. Construction: 8" layer of Individually pocketed coil support, 1.5" inclosed Micro Coils, Organic Cotton, Organic Wool, and PLA plant based materials. Comfort Options: Medium Firm - designed to cover the widest range of sleep preferences. This feel will accommodate most back, stomach, and side sleepers who prefer bit firmer feel. Price: $1,999 for standard Queen mattress. This price is considerably less than what most comparable Organic mattresses of similar specifications cost. Delivery: Choose from curbside, Threshold, In home setup or In home setup with removal. Price varies per option. See company site for details. Warranty: 10 Year Limited Warranty - Records show that Naturepedic has a relatively low amount of service claims. Of course this is a byproduct of producing a quality mattress. A Warranty is only as good as the company who honors it. Naturepedic has a long standing record of great service. Comfort Guarantee: The Chorus has a 30 day money back guarantee. This offer is valid if purchased direct from Naturepedic. If dissatisfied, you may return your mattress for it's original price less all shipping charges.